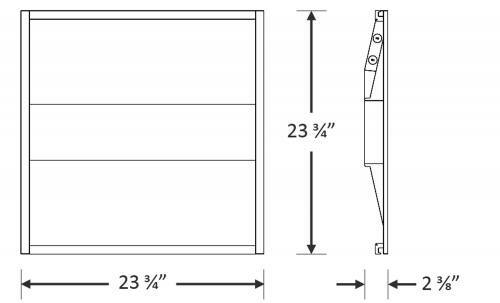 The 10-BCBLED22-40W-CP is a low-profile, 2’ x 2’ LED center basket luminaire, which is designed as a direct replacement for 2’ x 2’ fluorescent luminaires installed in grid or plaster ceilings. 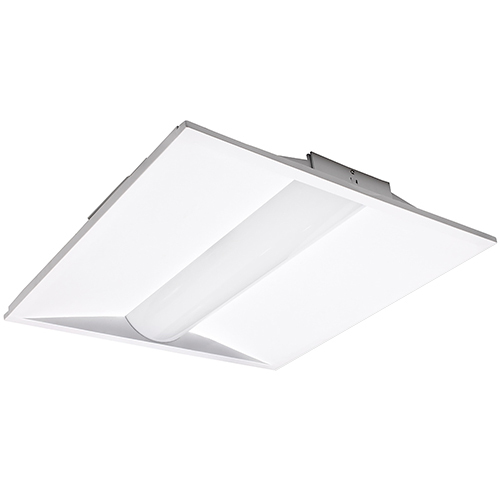 It is designed to deliver general ambient lighting in a variety of indoor settings, including schools, offices, hospitals and stores, and is the perfect choice for both new construction and retrofits. This high-efficacy luminaire provides long-life and uniform illumination, as well as standard 0-10vdc dimming capability. • Steel housing and acrylic lens.